The 41 Barnegats were 2,500-ton, 311-foot long armed auxiliaries capable of floating in 12 feet of water. They had room for not only seaplane stores but also 150 aviators and aircrew. Their diesel suite wasn’t fast, but they could travel 8,000 miles at 15.6 knots. Originally designed for two 5-inch/38-caliber guns, this could be doubled if needed (and often was) which complemented a decent AAA armament helped by radar and even depth charges and sonar for busting subs. The subject of our story, USS Duxbury Bay, is named for a popular 3-mile long bay on the coast of Massachusetts between Duxbury Beach on the east, Saquish Neck on the southeast, and the mainland on the west. The bay is also home to a maritime school that currently cycles through some 2,000 young mariners per year, so there’s that. Commissioned on New Year’s Eve, 1944, she sailed for the war in the Pacific, arriving to support the 3rd Fleet at Kerama Retto off Okinawa, 26 April 1945 and fought in the campaign for that island through June, tending both seaplanes and small craft/PT-boats when needed while dodging kamikazes. In July, Duxbury Bay shifted to Japanese home waters before ending the war off China. 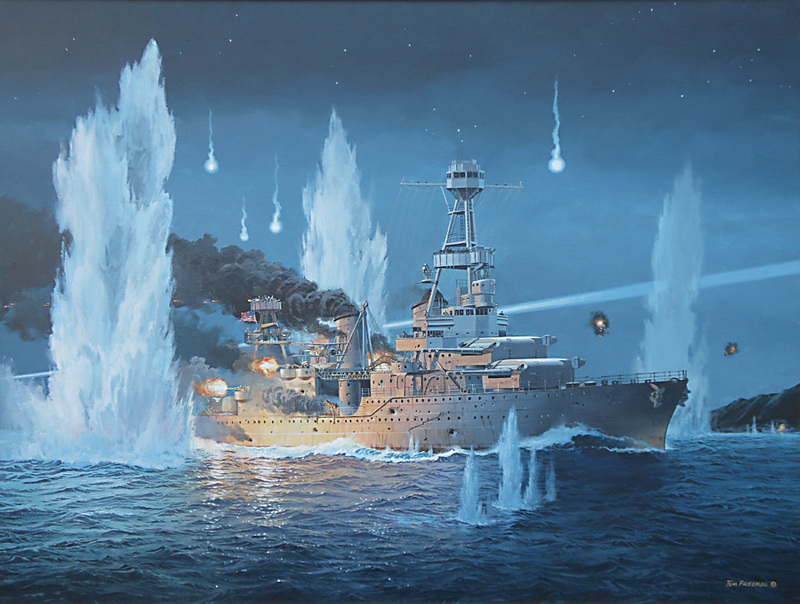 She served on occupation duty in the Far East through 13 July 1948, with two short breaks stateside, supporting patrol squadrons at Okinawa and Yokosuka, Japan; Jinsen, Korea; Shanghai and Tsingtao, China; before the victory of the Communists under Mao brought a general evacuation from the latter area. In all, Duxbury earned two battle stars for World War II service and suffered no damage, the latter an accomplishment for any ship. Starting 17 March 1949, she left Long Beach, California on a five-month circumnavigation sailing through the Pacific and Med to Norfolk, where she arrived in time for the Independence Day holiday. While on this trip, she tagged in as the flagship of Task Force 126, the small body of U.S. warships and auxiliaries in the Middle East, primarily in the Persian Gulf. During WWII, the so-called “Persian Corridor” was a vital route through Iran into Soviet Azerbaijan that the Allies used to pump over 4 million tons of Lend-Lease supplies through to the East Front– and turn Tehran away from Axis influence. While the Persian Gulf Command sunsetted in late 1945, TF 126 kept the lights on for the Navy in the increasingly important part of the globe. Duxbury Bay would see much more of the region. Beginning in 1950, the Navy disestablished TF 126 and replaced it with the Middle East Force, which would be made up of two rotating destroyers and a dedicated flagship, which would also rotate. The three command ships for the MEF were all converted Barnegat-class ships: USS Valcour (AVP-55), USS Greenwich Bay (AVP-41) and our very own Duxbury— the oldest of the lot and the only one of the trio that had seen overseas WWII service. Among the conversions done to the vessels were the installation of air conditioning and extensive canvas awnings over the decks, a white paint job to help reflect heat and show their status as “peace boats” (which earned them the title of the “Little White Fleet” a play on Teddy Roosevelt’s “Great White Fleet”), more commo gear, and a reduction in armament. In general, the three flagships would swap out every four months and conduct leisurely cruises back and forth through the Med, waving the flag everywhere they went. 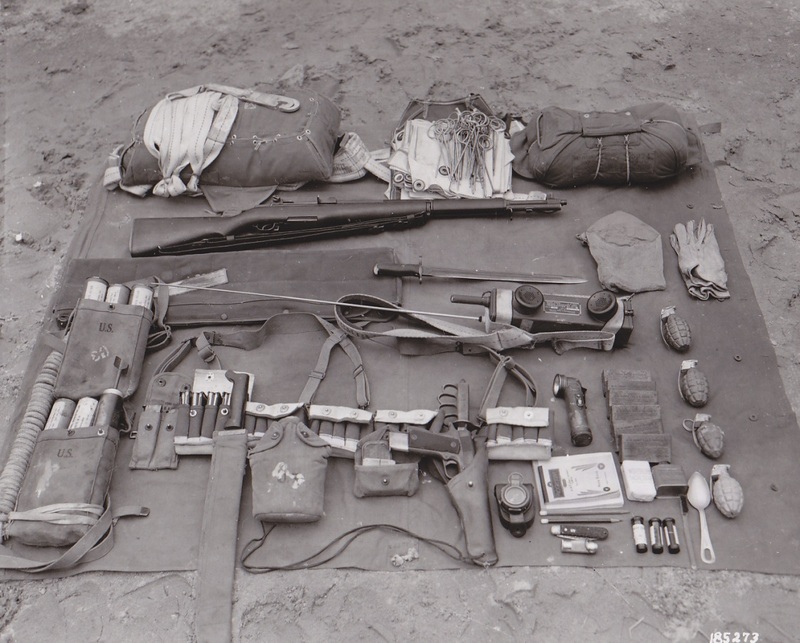 As time went by, they became very active in President Eisenhower’s People-to-People program, delivering humanitarian aid ranging from food to coloring books and sewing machines in small backwater ports throughout the region– remember, as long as the harbor was at least 12 feet deep, they were good-to-go, and they went! They served not only as a task group commander, interacting with Western allies (they were familiar sights at HMS Jufair, the Royal Navy base in Bahrain and its counterpart, HMS Sheba in Aden) but as a growing diplomatic tool for the State Department and U.S. companies (think=oil) looking to do business in the region, hosting state visits from local leaders and royalty (Duxford herself carried Ethiopian Emperor Haile Selassie to Somaliland in 1953). The ships performed search-and-rescue missions for lost aviators and overdue boats, helped evac Western civilians in times of tension, served on the periphery of the 1956 Suez Crisis (which sent rotating MEF ships around the Cape of Good Hope rather than through the Med), and just generally served as modern station ships, a throw back to the old 19th century practise of gun boat diplomacy. Now gleaming white, photographed in Hampton Roads, Virginia, on 3 October 1957. Note her lack of 5-inch mounts. U.S. Naval History and Heritage Command Photograph. 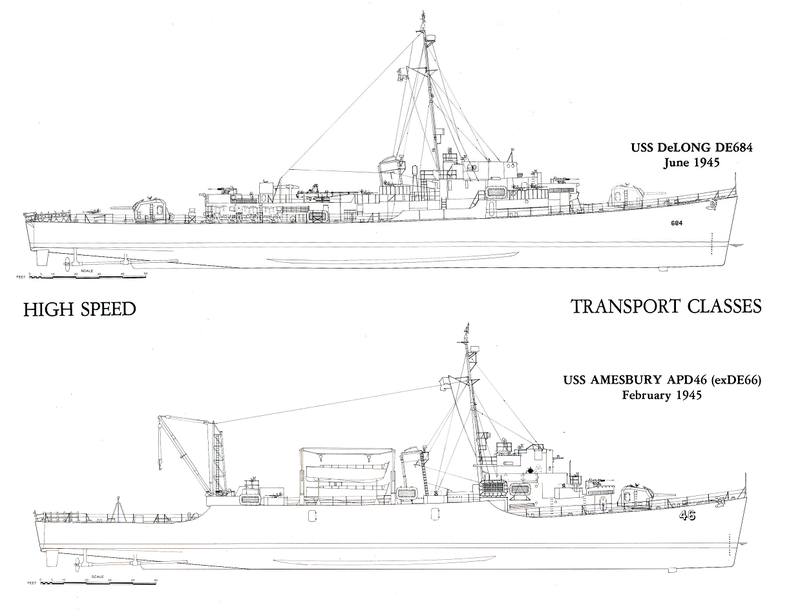 In all, Duxbury Bay served 15 tours of duty in the Persian Gulf, the Arabian Sea, and the Indian Ocean as flagship for ComMidEastFor between 1950 and 1966, plus her original stint with TF 126. While on stateside “down time” at Norfolk, she participated in the Cuban Missile Crisis, refueed the occasional seaplane, helped run UDTs and amphibious training out of Little Creek, and was on the USS Kearsarge battle group that plucked Maj. Gordon Cooper’s “Faith 7,” the last Mercury space mission, out of the Atlantic on 16 May 1963 after 22 orbits. After 15 rotations, it was decided to move to a more permanent forward-deployed flag and two of the three members of the LWF was pulled from service. Duxbury Bay was decommissioned on 30 April 1966, and stricken from the Naval Vessel Register the next day. Both Duxberry and Greenwich Bay were sold for scrapping in July 1967, with just over 20~ years of service on their hulls. Of their sisters, many endured for a good while longer than Duxbury. These hardy seaplane tenders gave yeoman service to the Coast Guard and Navy through the Vietnam conflict. The last member of the LWF, Valcour, remained as the standalone forward deployed flag for the Middle East Force, dubbed AGF-1, until she was relieved by USS La Salle (AGF-3) in 1972. Valcour went to the scrappers herself in 1977. 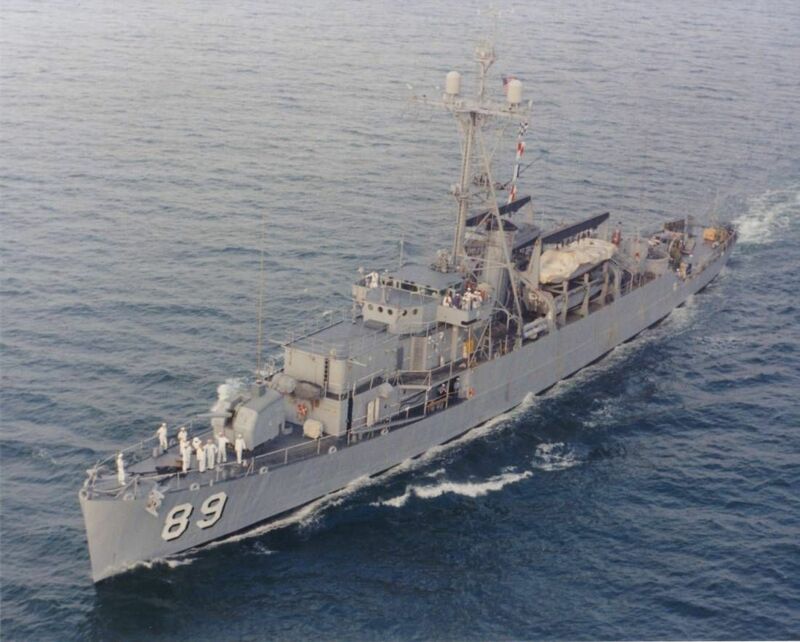 The last of the Barnegat afloat was the USS Chincoteague/Ly Thuong Kiet/Andres Bonifacto, a veteran of the U.S. Navy, Coast Guard, South Vietnamese, and Philippine navies that was finally withdrawn from frontline service with the later in 1993. She endured another decade as a pierside hulk used for the occasional training until she was sent to the breakers in 2003. The closest thing to a monument for these vessels is the USS/USCGC Unimak (AVP-31/WAVP/WHEC/WTR-379), the last of the class in U.S. service, which was sunk in 1988 as an artificial reef off the Virginia coast in 150 feet of water after three years with the Navy and 40 with the Coaties. .
For their part, veterans from our ship visit Duxbury Bay in Mass often and hold ceremonies to remember their vessel. As for the Middle East Force, it grew into CENTCOM in 1983, with the Navy contingent labeled United States Naval Forces Central Command (USNAVCENT) of course, and it is quite a bit larger than three little white seaplane tenders. Also, if you are in Texas, Faith 7 is currently displayed at Space Center Houston. Lovely ship! Have you ever done a feature on a Fletcher-class destroyer? The USS Kidd (DD-661) is a great reason to visit Baton Rouge, especially for those of us from Navy families. My father served as a Postal Clerk (PC) among many other duties, on a Fletcher-class DD in the West Pacific during WWII. But I’m sure to come back to other Fletchers. I visited the Kidd in 2005 and plan to hit her again in coming months, so will most likely run a spot on the Baton Rouge brawler.